These potatoes are not overly sweet and compliment virtually any dish. You can use red, gold, or any other baby potatoes. 1Preheat oven to 375 degrees F. Lightly coat baking dish with olive oil. 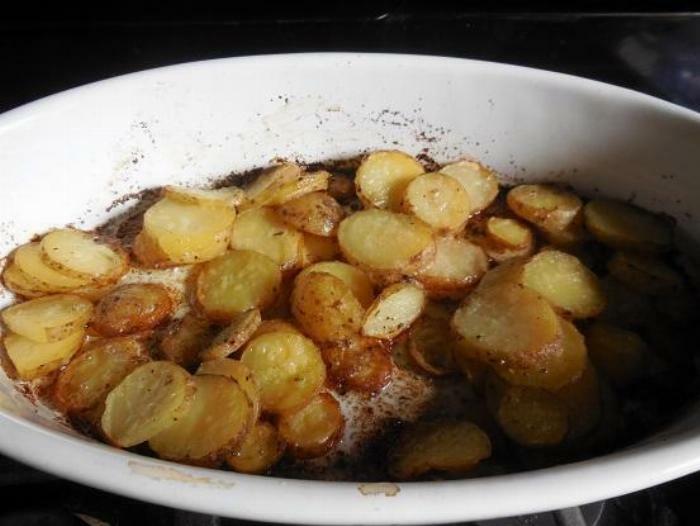 2Place potatoes in a single layer in the prepared baking dish, and top with onion. 3In a small bowl, combine melted butter, honey, mustard, salt and pepper and then drizzle the mixture over potatoes and onion. 4Bake in the oven for 30 minutes or until tender, stirring at the halfway point of the cooking time.